I have been obsessed with all the posts on Pinterest where people have used embroidery and cross stitch on every day objects... And I finally got round to doing one of my own! This could be a great back to school project to organise a homework station, but we don't have to deal with any of that...yet! 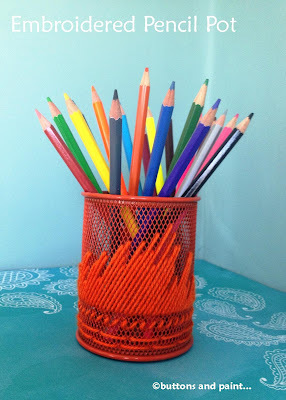 I had this boring old pencil pot that was so dull, it was hidden away behind the sewing machine in my craft room... It had been consigned to being a storage pot for my scrap threads and fabric. Don't forget - you have to save every bit to use when Making New Fabric!! I was going to "stitch" a design directly onto the metallic finish but whilst I was looking for inspiration, I found this great post from Camilla Fabbri which was virtually what I was going to do - and as I had to have the same colour, I got the spray paint out! And then instead of going for a range of colours for the "embroidery", I decided to stick with the orange, and used wool and a thick needle to create some long stitches in a random diagonal fashion... and then added a bottom border... if you get what I mean?! Much better!!! I will definitely let this pot have display space now!!! What to get my hands on next?! We are linking up to these parties! 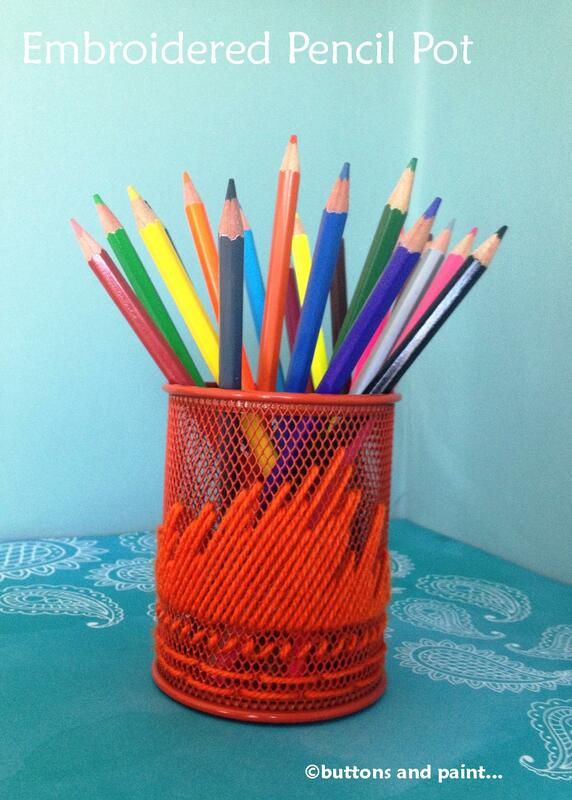 That looks fabulous, such a clever way to upcycle a dull object. I love finding embroidery on objects that you wouldn't think of. So clever. Thanks for linking up! This is such a cool idea! Very creative! 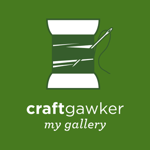 Thanks for sharing at the Frugal Crafty Home Blog Hop! Have a wonderful day! Another great idea for these wire tubs, turns out they are pretty versatile! Featured this week and pinned! !